Our light art competition is now open for applications. Today we’re in conversation with one of our festival producers, Louise to learn what makes a BRILLIANT idea. Our BRILLIANT light art competition is now open for applications. We’re seeking original ideas for light installations from local people that will be showcased at Lumiere 2019, 14-17 November 2019. This is your chance to showcase your creativity at the UK’s largest light festival, alongside some of the world’s best light artists. If you haven’t heard of the BRILLIANT competition before, find out more by clicking on this link. Today we’re in conversation with one of Lumiere’s festival producers, Louise, who will be helping turn the winning BRILLIANT ideas into physical artworks. In the interview below Louise sheds some light on how to apply, what will happen if your idea wins and what makes a BRILLIANT idea. Hi Louise, we’ve got lots of questions to ask you about BRILLIANT. Hope you’re ready! Yes, very excited to get started. Who can apply to take part in BRILLIANT? Anyone over 18 and originally from or currently living in the North-East of England can get involved. BRILLIANT is all about developing home-grown creative talent in the North-East. Do you have to be an artist to apply? No, you definitely don’t! Previous winners have varied from emerging artists looking for a platform for their work to Lumiere audience members without any artistic experience. All you need is an amazing idea and the motivation to make it a reality. How do you submit an application to BRILLIANT? First of all, go to the Lumiere website and read the information pack. Then, fill in the online application form with your details, an outline of your idea and a description of how the artwork could be made. There’s also an option to include drawings, sketches or photos to help us visualise your idea. You can check out the archive of past winning BRILLIANT artworks on the Lumiere website for some inspiration to get you started! Is there a theme to the competition? There’s no over-arching theme. We just want to see your best idea for an artwork using light. You could take inspiration from a particular place that you know in Durham or from something that is important to you. It might just be something that you think would look amazing or that would make people see a familiar location in a completely different light. Do you have to make the artwork yourself or only come up with the idea? If you’re successful, our team of technicians and producers, including me, will support you through the process of creating your artwork. 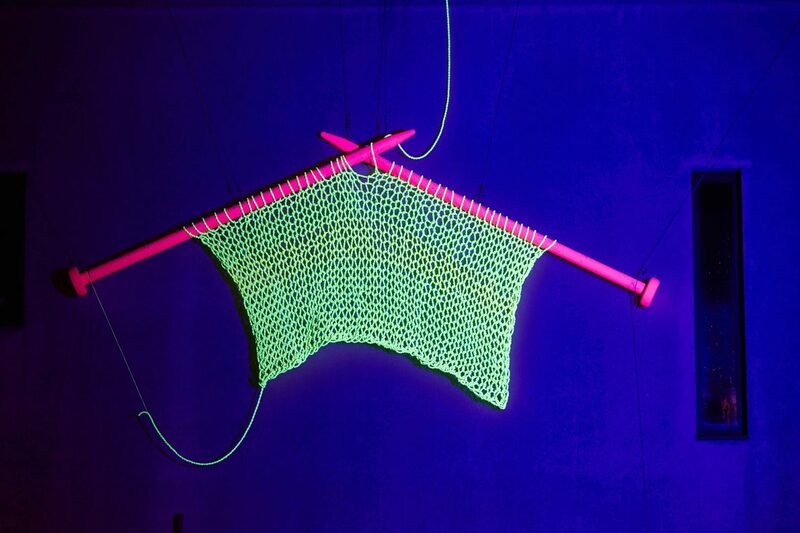 It’s worth remembering though, that lots of the winning ideas in the past have been ones which made use of the winners’ own skills, like Victoria Mcleod’s Big Knitting which she made using drainpipes as knitting needles and ‘wool’ made from luminous rope. You can use any material you like as long as it involves light. But, it’s also important to remember that the artwork needs to survive outside in Durham in mid-November for four days and nights, so it needs to be weather-proof! 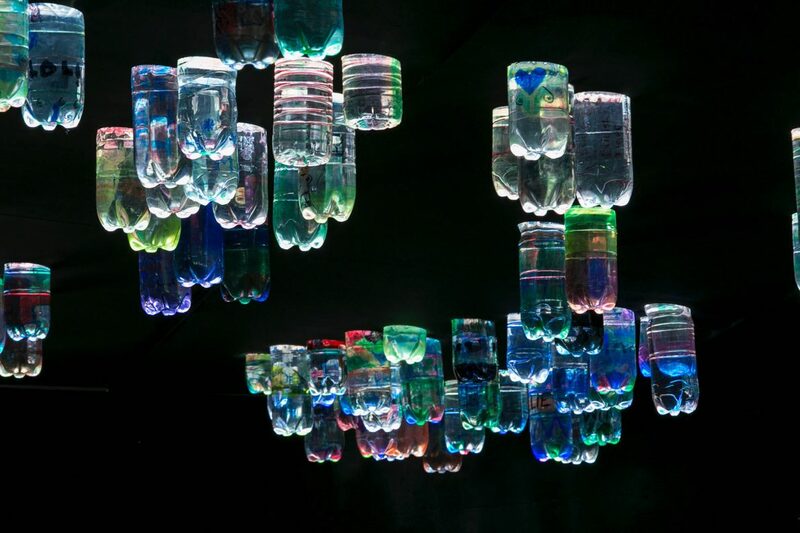 We love it if you’re inventive too, like Mick Stephenson’s Litre of Light which he made using recycled plastic bottles. We do set a budget which goes towards installing your artwork as well as the materials to make it. The cost can be anywhere between £500 and £8000, but don’t worry too much because the budget that we ask you to give in your application is just an estimation and if your idea wins, we’ll support you in researching the cost. Where will my artwork go? We’ve already started programming the festival and well-known places like Durham Castle, the Market place and the Cathedral are already being used, so please don’t apply using them as locations. Try to think of unknown or unusual places. You might know about places in Durham that our production team didn’t know existed! It’s always a bit of a jig-saw to fit everything together with the general festival programme. If my idea wins, how much time will I need to dedicate to creating the artwork? After interviewing shortlisted candidates, we announce the winners at the beginning of May which leaves 6 months to bring your idea to life. Our team works with you to fit the process around your work, education, childcare and other commitments. What would your BRILLIANT idea be? I love the idea of exploring the hidden spaces in Durham, so my idea would be an artwork which encourages the audience to notice and explore the corners, nooks and unused spaces around the city. Something subtle at first but when discovered really encourages people to think and see the space in a new way. Sounds great! What do you think makes a winning BRILLIANT idea? The best BRILLIANT ideas are always the ones that consider how the audience will respond to the artwork, whether they will look passively or touch, listen and or even step inside it. It has to be unique to you, whether it tells us something about Durham that you want other people to know about or shows a little bit of your own history in Durham or in the North East. 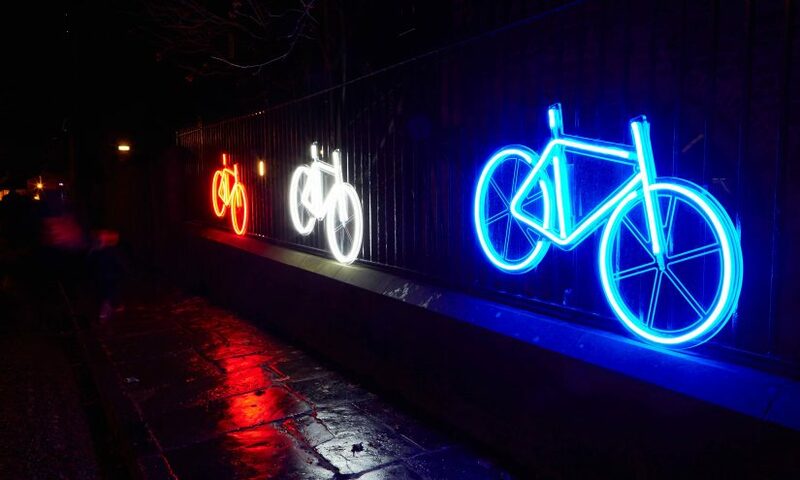 It’s also worth remembering that the best and most moving ideas are often the simplest ones, like Robyn Wright’s Neon Bikes or Sarah Blood’s Sanctuary. A BRILLIANT idea encourages people to stop and look at something they might not usually notice. And remember, you can only submit one idea, so make sure that you’ve thought about it carefully before you send it! SANCTUARY by Sarah Blood (UK). LUMIERE 2013, produced by Artichoke in Durham. Part of the Brilliant commissioning scheme for local artists. Photo Matthew Andrews. 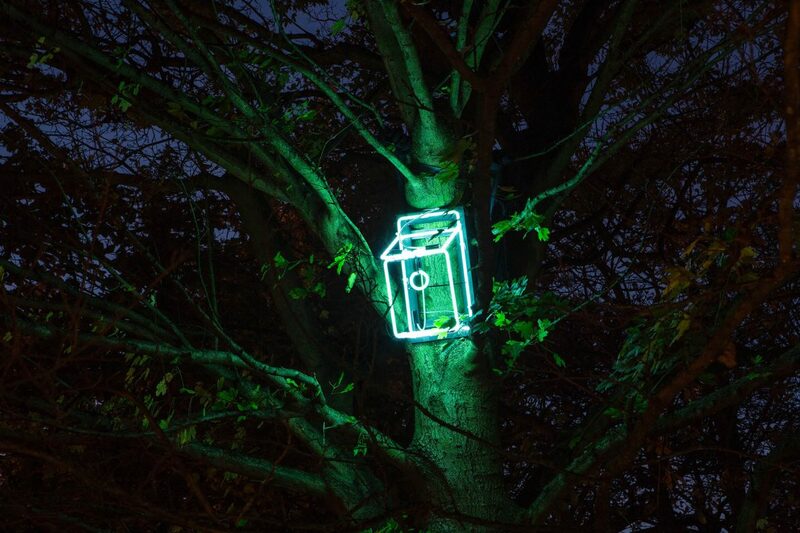 Sanctuary is a light and sound installation consisting of twelve neon birdhouses with an accompanying soundtrack of birdcalls performed by humans.